The following post has been inspired by the work of Kristine Eiring and Colleen Hathaway, who are authors of the book 'Mindfulness and Sport Psychology for Athletes'. The 3 A's model and imagery has been reproduced with kind permission from the authors. Over the past few years of working with athletes, I've come across so many cases where the person feels they've either "lost control" of their emotions when they play their sport or that they find themselves overthinking their emotions and dwelling on mistakes. Many athletes now recognise that the mental aspects of sport are just as important as physical training however most do not apply the same amount of time to enhancing their mental skills, as they do their body! The end result of this is that even though the person knows they have the technical ability to perform their sport, they feel as though their brain is letting them down. One technique which I've found extremely helpful for many of my clients is the concept of mindfulness. Mindfulness is essentially about being in the moment and allowing thoughts to come and go without judgement. To explain this to clients I often refer my clients to the book 'Mindfulness and Sport Psychology for Athletes' written by Kris Eiring and Colleen Hathaway who are both athletes themselves and who devote their work helping athletes perform at their best. 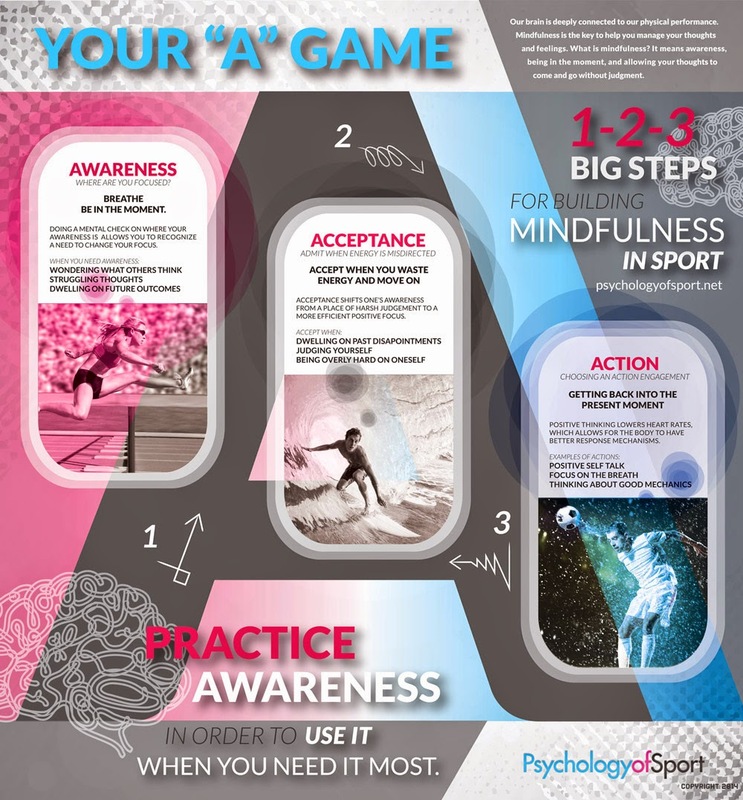 Essentially this simple yet effective model helps teach an athlete the 3 key steps to understanding and achieving mindfulness, which can in turn help them to feel more in control of their emotions, meaning they will be much less likely to 'lose it' at the vital moment in the game or race. The fact is negative thoughts happen to us all - even the most talented and ‘mentally tough’ performer. The key it turns out, is how you deal with these thoughts… the action you decide to take. Rather than be at the mercy of your emotions, you can give yourself the permission to observe these without judgement, let go and move on to the next point, putt or goal. If you would like to find out how you can learn mindfulness with the aid of hypnosis, please contact Christy christy@christyhypnotherapy.com or call 07527 576245 for a free telephone consultation. The secret is... You are already happy! Picture the sunshine, always shining bright and radiant. You know the sun is there but the trouble is we don't always see it! This is also true of our happiness which actually already exists within us. 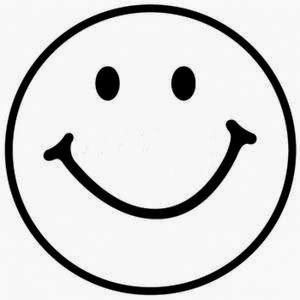 Happiness is innate, we are born happy; it's in our DNA. Look at new born babies - ok they get upset now and again... But when their needs are met (they are fed, watered, clean and safe) then they return to a gurgling state of joy and contentment! As adults we do actually instinctively know what happiness is, we know what it feels like and we don't have to figure it out. But when the many turbulances of life arrive, bringing conflict, pain and heartbreak, we become disconnnected from our happiness, just like a forgotten memory. We then convince ourselves we've forgotten how to be happy. To remind yourself all you need to do is find a photograph of yourself looking happy or even just remember a time in your life when you were really happy. Imagine you can look into the eyes of that happy person and see the happiness that exists as a powerful reminder of your inner happiness which has always been there. You have the ability to be happy anytime you wish! Using hypnotherapy can be a wonderful way to rediscover your inner happiness by using the power of your imagination, combined with positive suggestions which are absorbed by your unconscious mind. You should expect to feel happier after just one session, with more significant improvements after another two or three. Contact Christy now at christy@christyhypnotherapy.com for a free telephone consultation. Inspiration for this article taken from the 'Happiness Project' which is a training project that offer an annual programme of public events. Happiness NOW is the name of their 8-week flagship course. What is an accredited voluntary register (AVR) and what does it mean for someone looking for Hypnotherapy? If you’re looking for a therapist, you should now only choose one on an Accredited Voluntary Register approved by the Professional Standards Authority. An Accredited Voluntary Register is the result of a new scheme set up by the Department of Health, and administered by the Professional Standards Authority (PSA) who are an independent body, accountable to Parliament. The Authority oversees statutory registers such as the General Medical Council and Nursing and Midwifery Council. What this means for you, as a member of the public, is that you have the option of seeking a therapist on a register that has been vetted and approved. All hypnotherapists should now therefore belong to an AVR as clients will increasingly become aware of the scheme and will wish to choose the added public safeguards of seeing a therapist on such a register. Having been vetted, I have demonstrated my personal commitment to meeting high professional standards, to enhancing safety and delivering a better service and as such have been approved to join the National Hypnotherapy Society's accredited voluntary register. The fact that I am a registrant on the Hypnotherapy Society Accredited Voluntary Register, should offer you peace of mind and enhanced protection as a client and you can be sure that the service you receive from me will be of a high standard. NB: It must be stressed that I am not personally accredited by the Professional Standards Authority; it is the voluntary register, held by the Society that is accredited (the HS). Equally, no treatment or service I provide is endorsed by either the Professional Standards Authority or by the Government. Regular listeners to my show 'Christy Hypnotherapy' which is aired on Natural Health Radio every other Friday, will from this week onwards, be hearing me under the new name of 'Change Your Own Mind'. The reason for changing the name is to reflect the wide variety of content which now goes out on my show. Whilst I still talk about hypnotherapy related topics, I have also had the pleasure of doing interviews with a wide range of people over the past few months, including therapists, sports people, business people and book authors. I also wanted my show to be a resource for people to listen to to hear about all sorts of ways in which you can "change your own mind" for the better! All the wonderful people I get to speak with are all related in some way to helping people get the most out of life, by improving your physcial and mental health. So this name change is not about being indecisive in changing your mind, quite the opposite in fact! It represents a choice you have to change the way you are currently thinking which is causing you to feel negative about yourself or your life and instead to lead a more happy, productive and healthy life. On Friday 18th, I will speaking with the fabulous Tone Tellefson-Hughes from the Luck's Yard Chiropractic Clinic in Milford and then I will be joined by the lovely Andrea Detchon who is the 'Joy Scientist'. Listen live at 11am on Friday to find out more! Earlier this week I had the pleasure of attending a convention where they had a guest speaker named Jim Lawless. Personally I'd not come across Jim before however anyone involved in either Horse Racing or the Freediving world would definitely know him. These might sound like two completely unrelated sports however Jim Lawless proves that if you are able to 'Tame your Tiger', anything is possible! I won't go into detail about Jim's story (you can Google him to read about his interesting career so far) however the most important thing is that Jim started out as someone who made a normal living with a relatively normal day job. Once day someone challenged him to an unusual bet which involved him going from an overweight and unfit man in his thirties who'd never ridden a horse in his life, to becoming a televised jockey in 12 months. He won the bet! In his talk, Jim described how at first, his 'inner tiger' roared to him about how this was an impossible task, one which someone like him could never achieve and that he was bonkers to try. But by challenging himself to overcome these obstacles (both physical AND mental) Jim showed just what is possible when you put your mind to it. He decided to capture how he did this in a set of rules which he describes as "how to tame the tiger". In 2010 he went on to use this "Taming Tigers" approach to become Britain's deepest Freediver. I wanted to share my thoughts on Jim's talk as the most poignant rule for me was to "re-write your rulebook and challenge it hourly". Jim asked the audience a question, which was "are you writing the story of your life or are you letting someone else do it?". Personally this struck a chord with me and I would guess that there are many other people out there who feel like someone else is holding the pen which writes the story of your life. If you feel this way, I would encourage you to first recognise this and then to do something about taking back control to begin writing your own story - and make it a blockbuster! Hypnotherapy can help YOU take back control over your life story by helping you let go of limiting beliefs and understanding what makes you tick. Get in touch today for a free telephone consultation: 07527 576245 or email chirsty@christyhypnotherapy.com. Bernardo will be talking about how discovered NLP and how he uses it to be the 'best him'! We will also talk about the meteoric rise in the popularity of NLP over the past few years and why so many people are talking about it and using it to improve their lives. I will also be speaking again with Tim from the Massage Hut. This week Tim will be talking all about how deep tissue massage can help people with Frozen Shoulder. Listen live here: http://bit.ly/1fCBXx8 It's going to be a great show!